Max Life is a popular private life insurance company in India which has the vision to become the most admired insurer in the country by creating secure financial futures for the citizens. With a claim settlement ratio equal to 97.81%, the company has crossed many milestones over the years. In the year 2017, the company crossed the 10,000 crore mark in terms of the gross written premium collected in a year. 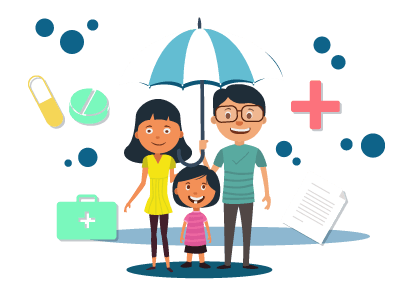 Max Life offers different types of insurance plans such as term insurance plans, child insurance plans, retirement plans, ULIPs, savings and income plans, group insurance plans, online plans, and term insurance plans. Under term insurance plans, the company offers three separate plans. While Max Life Super Term Plan and Max Life Premium Return Protection Plan are offline plans, the Max Life Online Term Plan Plus is an exclusive online plan. A person who purchases a life insurance policy is required to pay a premium towards the policy to keep the policy active. The premium payable towards the policy differs based on a number of factors such as the age of the individual, the sum assured, the type of plan, the gender, whether the person is a smoker or non-smoker, etc. Each insurance company looks at different factors. Hence, the premium payable towards two life insurance plans is rarely the same. Estimating what the premium payable towards a plan should be will turn out to be a tedious task. Therefore, any person who is planning to buy a policy can use the online premium calculator available on the official websites of insurance companies. The estimated premium will help a person decide whether he/she wants to increase the coverage, reduce the coverage, switch to another plan, or choose a different insurance company. Visit the official website of Max Life Insurance. Find the ‘Calculate Premium’ link on the home page. Put in your date of birth in the DD-MM-YYYY format. Declare whether you are a tobacco/nicotine user or not. Finally, enter your mobile number and email address. Click on the check box accepting that you have read the terms and conditions and agree to be contacted by the executives of the company. Once this is done, click ‘Calculate now’. On the redirected page, select details regarding the plan such as the type of cover, coverage amount, term, and premium payment term. If you wish, you can select a critical illness rider. To ascertain whether you are eligible to get the critical illness rider, you will have to mention whether you are an Indian or NRI and whether you are diabetic or not. After this, you will know if you can buy the rider or not. Click ‘Proceed’ to find out the premium payable for the options chosen by you. Once the premium amount is shown, you can even edit the quote to lower the price or even increase the price in case you can afford more. Also, the insurer offers other riders that you can use to enhance the plan. Once you select these as required, you can click ‘Buy Now’ to purchase the policy. Cost efficient: When you check the premium payable online, you can also purchase the term plan online. Online plans are usually cheaper than other regular plans as it cuts down on many costs incurred by the insurance company. The company, hence, shares the reduction in costs with the customers as well. Saves time: It is a quick process and only requires you to select a few options and enter a few details as mentioned above. It only takes a few minutes to check what the premium payable by you will be. Easy: The process is very simple and can be done by anyone without the help of any broker or insurance agent. The questions asked to calculate the premium payable are simple and do not include any complex insurance jargons. Also, there is no need to upload a document to check the premium payable towards the term insurance plan. Compare costs of different plans: With the help of the premium calculator, you can compare the costs of the different plans offered by the insurance company. It will help the person understand which is the best suitable plan. If you’re looking to buy a term insurance plan in the near future, make sure you check the premium payable using the term insurance premium calculator online. If you’ve selected a term plan offered by Max Life, you can use the premium calculator provided by them. Max Life offers term insurance plans with abundant coverage options and many riders too. The insurer has won a number of awards over the years such as the ‘Great Place to Work - 2018’ award, Effie Award – 2018, Quality Fables and Improvement – 2017, and so on. The company has witnessed steady growth over the years and has its presence throughout the country with 210 offices in total.